KIRIGALPOTHTHA, THE SECOND HIGHEST MOUNTAIN IN SRI LANKA, IS ONE OF THE BEST HIKING ROUTES IN THE ISLAND. THIS WEBSITE UPDATES ON EXCITING PLACES FOR HIKING & CAMPING AND ALSO SHARES INFORMATION OF SOME OF THE MOST BEAUTIFUL LOCATIONS IN SRI LANKA. We are a small community of nature lovers. Also, we are hard-core hikers. We want to promote the beauty of Sri Lanka through our hiking and camping excursions. You can contact us & join with us in our hikes too. Great site and a good effort put to protect sri lanka rare species of trees. 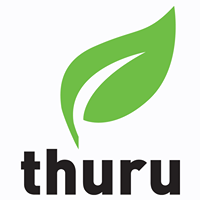 I had a look at the thuru website as well. Just a point to ponder, be-careful of whom you attract. Some tourists come to sri lanka with the intention if stealing our endemic plants (kotala himbutu patent), research on them in their labs and get patents for their medicinal or other properties. Being aware of this danger, keep up the good work.